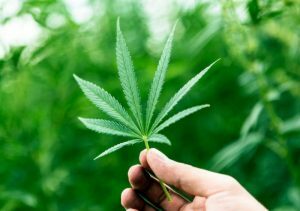 Is Tilray a Better Marijuana Stock to Buy than Aurora Cannabis? Canada’s recreational marketplace has officially opened for business and that means these two companies are about to face off in a battle for market share. Marijuana users are cheering the legalization of marijuana for recreational use in Canada, but it’s not just pot advocates who are excited. Investors are also upbeat because the recreational market for marijuana represents a massive opportunity for sales growth for leading Canadian cannabis companies, including Tilray Inc. (NASDAQ:TLRY) and Aurora Cannabis(NASDAQOTH:ACBFF). Is this a good time to buy one of these pot stocks for your portfolio? Medical marijuana has been legal in Canada for years, and while medical marijuana sales total in the hundreds of millions of dollars annually, the potential market opportunity associated with recreational use is significantly bigger. Canadian medical marijuana sales were about 600 million Canadian dollars last year, but in 2019 Deloitte estimates that recreational marijuana sales in Canada could be as much as CA$4 billion. To capture a big chunk of the recreational market opportunity, Tilray and Aurora Cannabis have been investing heavily in projects that can boost their marijuana production capacity. Currently, Tilray operates four facilities comprising 912,000 square feet of space that can produce an estimated 76,000 kilograms of marijuana annually by the end of this year. Next year, Tilray thinks that its expansion projects can boost that capacity to about 150,000 kilograms. The doubling of capacity in the coming year should provide plenty of supply to meet consumer demand, but Aurora Cannabis has been expanding capacity even more aggressively. Through a combination of mergers and acquisitions and investment in new greenhouses, including Aurora Sky, Aurora Cannabis is targeting 570,000 kilograms of production capacity in the future. If Aurora Cannabis’ Sky facilities ramp up production as expected, it could be in a much better position to capture recreational-use market share than Tilray. Marijuana growers can differentiate themselves through product and branding, and those products and brands may be more profitable in the long run than marijuana itself. Cannabis can be grown easily and, as a result, we’ve witnessed overproduction in maturing markets, such as Colorado. That overproduction has put downward pricing on marijuana wholesale prices, which has crimped profit for growers. Over time, I expect that wholesale prices of marijuana in Canada will follow a similar path, and if so, then producers that get most of their sales from oils and other consumer products may end up generating bigger profits than pure-play farmers. Aurora Cannabis is increasing the proportion of revenue it generates from cannabis oils, but it still gets less of its revenue from oils than Tilray. In the most recently reported quarter, Tilray got about 45% of its sales from cannabis oils, while Aurora Cannabis got 32%. But one year ago, Aurora had gotten only 20% of its sales from oils, so Tilray’s advantage may be shrinking. Tilray is miles behind Aurora Cannabis in terms of total sales, and Aurora’s capacity advantage could widen that gap next year. Last quarter, Aurora Cannabis pro forma revenue, including acquisitions that weren’t yet finalized, were CA$33 million, while Tilray’s sales were CA$12.7 million. One advantage Tilray may have is its rights to Bob Marley’s Marley Naturals brand. Marley Naturals could help Tilray connect with consumers thanks to name recognition, but it remains to be seen how consumer demand shakes out. We probably won’t know for sure who wins the battle of brands until edibles and other retail products become available. Currently, only dried flower and oils are permitted for sale, but a broader variety of products could reach the market next year. Neither of these companies is consistently profitable yet on an operating basis, but their gross margin now could provide clues into which of these companies may reward investors with more earnings in the future. Last quarter, Tilray’s average selling price per gram was $6.38 and its gross margin was 43%, while Aurora Cannabis’ average net selling price per gram was $9.20 and gross margin was 74%. Aurora Cannabis also appears to have an advantage when it comes to price-to-sales and price-to-book ratios. Price-to-sales ratios are valuable because they show investors how much they’re paying for each $1 of revenue a company generates, and Tilray and Aurora Cannabis are both expensive on this metric. The average price to sales for technology stocks, which are some of the stock market’s priciest companies, is less than five, but Aurora Cannabis’ is trading 250 times its trailing 12 months of revenue and Tilray’s trading at a whopping 525 times its trailing 12-month sales. These stocks aren’t bargains on price-to-book ratio, either. Book value is essentially a company’s breakup value, so price-to-book ratios show you how much per share you’re paying above or below a company’s theoretical value if it was liquidated. Aurora Cannabis’ price to book is 5.2, while Tilray’s price-to-book ratio is a jaw-dropping 337. Aurora Cannabis also looks better than Tilray by current ratio, a measure of a company’s ability to make good on its short-term obligations. Generally, a current ratio below 1 is worrisome, and the higher a current ratio is, the better. Aurora Cannabis’ current ratio is 2.9 and Tilray’s is just 0.62. Overall, neither of these stocks is cheap, but I think Aurora Cannabis is a relatively better value than Tilray. I also favor Aurora Cannabis because its production capacity gives it a call option to profit from higher-than-expected retail demand in Canada, and its sales advantage gives it more scale that it can leverage for margin expansion. But there’s one more important reason why I think Aurora Cannabis is a better buy than Tilray. Tilray’s insiders are currently subject to a lock-up restriction that’s preventing them from selling shares to take advantage of its surging share price. That lock-up period ends in January, and if insiders decide to pocket their profits, then it could cause Tilray’s share price to falter.